So relaxed! That is a great photo, it looks so calm and quiet! 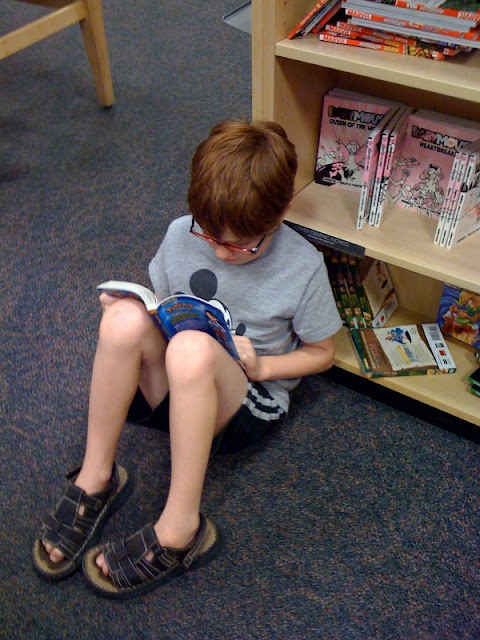 I work at a bookstore and just LOVE seeing kids get excited about reading. Hey, the book must be great as the position doesn't look toooooo comfy!! !